The all-new 2018 Hyundai Accent subcompact car has arrived at Jim Burke Hyundai, sporting a sleek new style and some of the latest safety and technology features offered by Hyundai. Hyundai's highly affordable small car is offered in a sedan body style for 2018, with a range of trim levels available to cater to budget-conscious drivers as well as car buyers who want to drive a well-equipped yet small car. If you are in the market for a brand-new car at a low price, then the new Hyundai Accent should certainly be on your test drive list. Jim Burke Hyundai is just a short drive from Hoover and Tuscaloosa, Alabama, so if you are in the area, why not stop by for a tour and test drive? 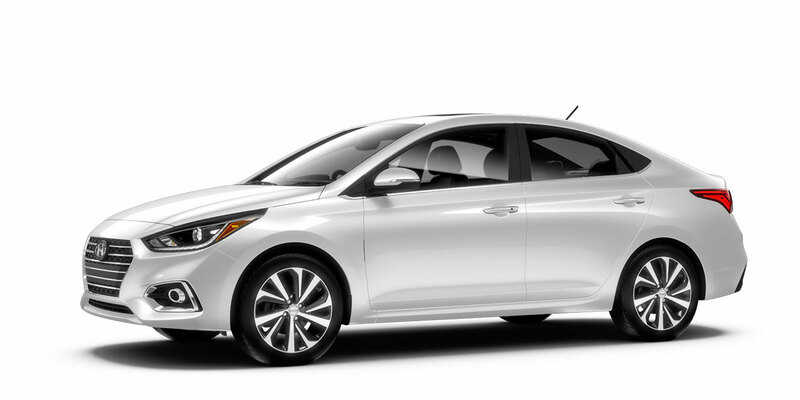 Here on the Jim Burke Hyundai website, you can explore the trim levels of the 2018 Accent and even shop for a new Hyundai Accent for sale before your visit to our Birmingham, AL dealership. Let's take a look at what makes the all-new 2018 Accent such a great value! Starting off the 2018 Hyundai Accent lineup right is the Accent SE base model. A 130-hp 1.6-liter 4-cylinder engine powers the subcompact Accent and delivers stellar fuel economy. With its low starting price, you may be surprised to learn that the 2018 Accent SE base trim comes fitted with a rearview camera displayed on a 5-inch color touchscreen display, Bluetooth connectivity and a remote keyless entry system with panic alert -- all as standard equipment! The Accent SE trim's cruise control, Bluetooth wireless technology and 4-speaker audio system can all be controlled via steering wheel-mounted buttons. While the 2018 Accent SE may be small, it comes with plenty of safety features as standard that help protect drivers and passengers. Beyond its standard driver and passenger airbags and seat-mounted side-impact airbags are active safety features like traction control and electronic stability control for greater driver confidence. You can easily maintain the proper and safe tire pressure in your new Accent SE with the standard Tire Pressure Monitoring System (TPMS). Improving on the already impressive 2018 Accent SE base trim is the available Accent SEL trim, which adds a larger 7-inch touchscreen display with Apple CarPlay and Android Auto integration to the mix, plus dual charging USB ports and a tilt-and-telescoping steering wheel for greater convenience. On the exterior, the SEL trim also gets an upgrade in the form of 15-inch alloy wheels, plus heated exterior mirrors and automatic headlights. Finally, we come to the range-topping variant of the 2018 Hyundai Accent, the Limited. With its heated front seats, 17-inch alloy wheels and Forward Collision-Avoidance Assist system, the Accent Limited proves that a small car can feel upscale. The Accent also adds key features like a convenient Proximity Key with push-button start, a 6-speaker sound system and LED taillights. The sales staff at Jim Burke Hyundai invites car shoppers from Tuscaloosa, AL and beyond to visit our dealership in Birmingham, AL to test drive and tour the 2018 Hyundai Accent in its variety of well-appointed and affordable trim levels. Shop online now and get pre-qualified for auto financing, then stop by our dealership and service center at your convenience.